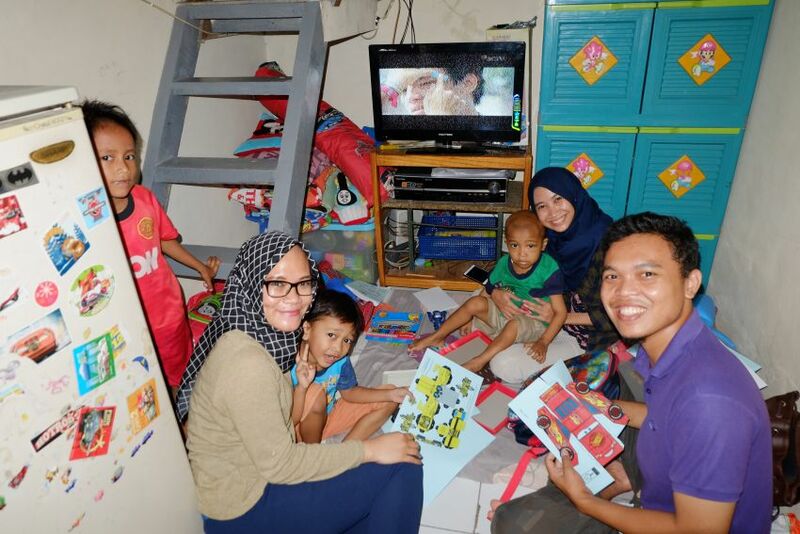 Yayasan Pita Kuning Anak Indonesia (Yellow Ribbon) is campaigning for funds and access to treatments for children who have been diagnosed with cancer across Indonesia. The Yellow Ribbon is a philanthropic foundation for children with cancer that started from the young volunteering community called Community for Children with Cancer (C3). For over a decade, the founders of Yellow Ribbon have become ever more dedicated and committed. The Yellow Ribbon understands the need for sustainable delivery of aid in accordance with the National Cancer Countermeasures Committee (KPKN), which states that effective cancer management must be in line with the understanding of quality information, treatment and care. Currently, Yellow Ribbon wants to take part in palliative care to improve the quality of life for children with terminal cancer, especially those from disadvantaged families. The foundation hopes to provide equal distribution of treatment, care/assistance and funds for paediatric patients with cancer that is tailored to their needs. They want to assist in providing access to palliative care and paediatric patients with cancer and their families, from the time they are diagnosed until the end of their treatment, as well as to provide integrated psycho-social services through community-based partnerships. The foundation also supports the Yellow Ribbon Service Program, which is a program that specializes in responding to palliative care needs for paediatric cancer patients. Yellow Ribbon Service is a series of activities and activities of psychology and social interrelated and interconnected in answering the needs of Palliative Care specifically for paediatric patients with cancer from the pre-prosperous family. For more information regarding the Yellow Ribbon Foundation, please visit http://pitakuning.or.id/, call through the Yellow Ribbon Careline at +62 21 7581 1137 or drop an email at [email protected].